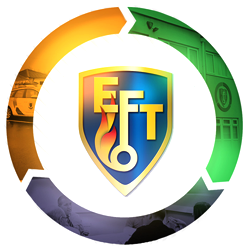 In line with EFT Systems approach to the installation and maintenance of Life Safety and Security Systems, EFT will be developing our ‘Systems’ offering to include IT and Cyber Security. As our ‘Systems’ maintenance is becoming more reliant on digital systems, with remote monitoring for ‘fault’ and ‘activity’ diagnostics, securing our IT systems and the systems of our Clients has never been more important. Businesses urged to protect themselves against cyber crime after new statistics show over four in ten of businesses and two in ten charities suffered a cyber breach or attack in the past 12 months. Over four in ten of all UK businesses suffered a breach or attack in the past 12 months. Most common attacks were fraudulent emails followed by cyber criminals impersonating an organisation online. Strong reminder to bosses to act ahead of new data protection laws in force from 25 May 2018. With the new data protection laws in force, UK businesses are being urged to protect themselves against cyber crime after new statistics show over four in ten (43%) of businesses and two in ten charities (19%) suffered a cyber breach or attack in the past 12 months. This figure rises to more than two thirds for large businesses, 72% of which identified a breach or attack. For the average large business, the financial cost of all attacks over the past 12 months was £9,260 with some attacks costing significantly more.